What products/services are already obsolete to you NOW? landline phone - haven't had one for years, and never will again. road atlas - between GPS and online maps, why would anyone carry around a paper map or road atlas anymore? GPS is hands free, trying to read a map at 60 mph is downright dangerous, and you can't pull over and look in many places (the Dan Ryan for example). newspapers & magazines - I know this one sparks (heated) debate, but we haven't taken a newspaper in almost 10 years and almost as long for magazines. It may take generations, but I don't see how they can survive in physical form for long. Physical books may take longer to disappear, if ever. popcorn (that doesn't come prepackaged for the microwave) - we finally threw away our popcorn maker in the last wave of decluttering, we coulnd't remember the last time we use it vs microwave popcorn. hand held calculator - we have a few around, but I can't imagine every buying another. I use my phone more often than not, or the iPad or PC when in hand. wrist watch - again, many of us carry our phones most of the time (and more will as time passes IMO). It gives more accurate time than most wrist watches. These days, a wrist watch is really just jewelry IMO. I've let the batteries go dead on all my watches (I need to sell the valuable ones on eBay...). phone books - found one in my driveway yesterday, like everyone else in the neighborhood (and that's what prompted this post). I just throw them away as soon as we get them nowadays, and I wish I could stop them (what a waste of resources), but we never know who is going to distribute them or when. With the internet and smartphones, I can find phone numbers all over the world - why do I need a paper copy of phone numbers that covers just the city and surrounding area I live in? travel agents - nothing against the profession, but I'd rather see everything that's available instead of having someone narrow the choices for me, so online is the only way we've traveled (domestic & foreign) for at least 10 years. I'd rather not pay a markup for a travel agent either (it's there no matter what people try to claim). I could go on, but. Funny, I'm actually looking for an old school style of popcorn maker (the kind with the spinning bottom). I want one for coffee roasting. Hm... I still have and or use all those things. I get all that except what replaced raincoats exactly? HFWR - that's just like a popcorn popper! - stamps and checks. Ok... not quite - but getting close. I write about 10 checks a year now... and use about that many stamps outside of christmas cards. Damned if I know... I have two London Fog raincoats that I haven't worn in ten years... Keeping them to put in the local museum. Other than construction workers, do you see people wearing raincoats? Must admit I'm not very fashion conscious... Only time I've worn a suit in the past 15 years, was to funerals. I just got on off Amazon.com. Whirley pop. Works like a charm, and no hydrogenated chemical nastiness. .
Agree with most of midpack's list...my kids still use calculators which are required for certain classes (graphing calculator). How do you keep dry in the rain? People wear raincoats, or more often rain jackets here all the time. I donated my London Fog raincoat a few years ago, but simply because it was old and looking sort of beat up. I replaced it with a sporty looking zippered rain jacket with hood. When it is windy and raining, an umbrella may not be practical so I like some sort of coat or jacket to keep dry. Since it is hot here, I use a light jacket made simply for rain instead of an all weather jacket. Any recording device that uses tape including movie camera, cassette recorder, answering machine. Recipe cards. All of my recipes are electronically stored in DropBox. Books made from paper. I still have some but haven't bought or borrowed any from the library in several years. A Watch that has to be wound. With this gang I am surprised that slide rule wasn't mentioned. I don't like the microwave stuff - too salty, too much hydrogenated oil. I agree on the trans fats, but as you probably know there are still several options, for example. 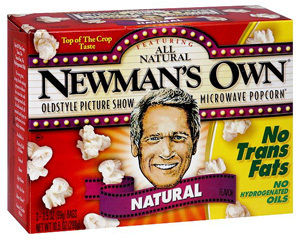 I will concede that old school popcorn tastes better though, just not worth the fuss for us. Presumably we relinquished our slide rules more than 10 years ago...mine died in 1974 when I bought a Texas Instruments SR-50, seemed amazing at the time...looks really primitive now. Go to Target - I bought one there a week ago. I go through one every couple of years. I like it better than microwaved. Careful about ditching paper maps and relying on your phone. I was on a trip last year organized by others, and we hit a closed road or got lost or something in the NC mountains with no phone signal, so no maps. I haven't pulled out my maps in awhile, but I still keep them in my car just in case. I actually sent a fax last week. I still use a few of those other things occasionally. Not a calculator though, that one fits the criteria for me. Hiking boots too. Trail shoes do everything I need and are a lot more comfortable. I own one of these manual crank types. It is fabulous!